Earlier this year in January, I had the pleasure of doing a portrait shoot with athlete and male model Nick Walker. I did not realise at the time that these photographs would end up having me published in a paper magazine - StarCentral Magazine. 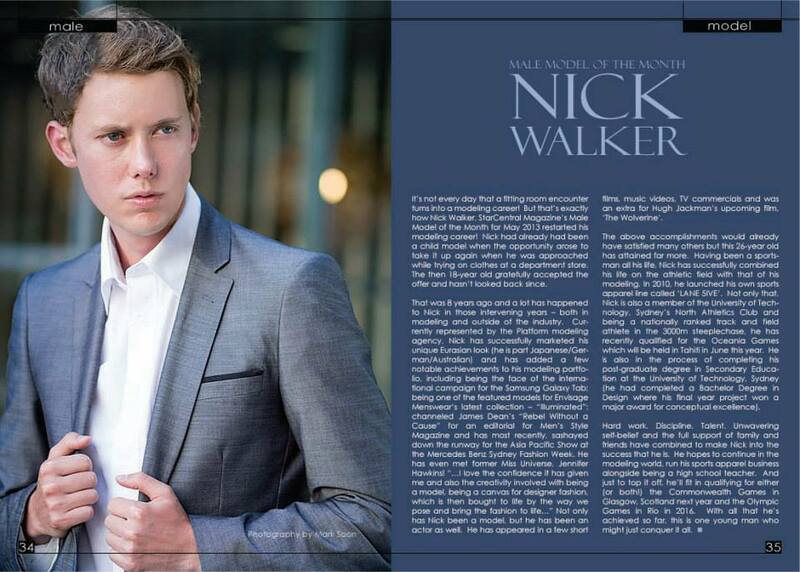 As it turns out Nick did well with winning the "Male Model of the Month" - a huge congratulations to Nick on achieving so much at such a young age.